Hanging out with fellow fans in the parking lot can be more fun than watching the actual game. Some football games are famous for their fans’ over-the-top tailgating tactics. Tailgating is something to look forward to—unless it’s hot outside. While taking an RV to your tailgate is terrific because you can cool off inside, you don’t want to miss out on all the action happening outside. Tackle scorching hot tailgating with a cool game strategy. It will make an exciting event with friends even more fun, and you’ll be able to hang outside and stay comfortable. Warm drinks are the bust of a hot-weather tailgate. You want to have plenty of ice on hand so you can keep drinks and coolers cold. However, you won’t need to worry about where to pick up extra bags of ice or where to store it if you make your own ice instead. There are portable and freestanding ice makers that simply sit on your countertop. Plug it in, let it run and make over 25 pounds of ice in 24 hours. Keep one in your RV for instant ice during a tailgate. To avoid having the ice melt too quickly, store your coolers in the shade. Chilling drinks at home before you put them in the cooler is another great tip for making your ice last longer. If you get to your tailgate location early, scout out a spot for afternoon shade even if your RV has an awning. There’s a tremendous heat difference in and out of the shade, so you’ll want room to spread out. Consider shade when you decide which way to face your RV as you park. During some parts of the day, the RV itself will provide a shady rectangle from the hot sun. Face your side door toward the afternoon shade. Never fear if there aren’t any shady spots. Plan ahead to provide your own shade. Pack a pop-up-tent to get quite a few square feet of shade, or pack a patio umbrella and stand. Since the umbrella collapses, it’s easy to transport. Having the umbrella means you can place it separate from the tent so you can shade a drink table or the person manning the grill. Just like the water misters found at big outdoor theme parks, you can provide your own cooling mist at a tailgate. There are a variety of misters that can travel with you. Some use a bucket full of water, some attach to a hose and others can be attached to your shade tent. There are even personal, hand-held misters you can hold and mist yourself as you chill in your chaise lounge. A breeze makes all the difference on a hot day. If Mother Nature isn’t cooperating, be prepared by having some fans on hand. Battery-operated fans are super handy to have when tailgating or camping. On the other hand, if you are tailgating with an RV, then you’ll be able to plug in a fan outside to create a breeze for everyone hanging out. Be sure to stay hydrated. Provide plenty of icy cold drinks for all your tailgating guests. Remember hot weather can cause you to sweat and you may need to drink even more water than normal. The Institute of Medicine suggests an adequate intake for men is roughly about 13 cups of beverages a day while women should drink about nine cups. Cold foods are another terrific cooling trick. As much as tailgating is all about the grill, offer cold sides to your grilled meat. Serve cold salad, pasta salad, cut up fruit and slices of veggies with a chilled dip. In fact, watermelon is an exceptionally good choice because the fruit is 93 percent water. Store beverages separately from food. The beverage cooler will be opened more frequently, so storing the food separately will help it stay cool. Keep zippered plastic bags on hand. Fill them with ice and use them in coolers of food. As the ice melts, it won’t get the food in the cooler wet. Bring extension cords. You can use these to plug items like a fan or portable ice maker into your RV’s power but still keep them outside and easily accessible. Dampen hand towels and store them in the refrigerator or cooler. They’re terrific to pass around when people are hot and sweaty. Lea Schneider is a home organizational expert with years of experience combining home organization with design styles. She spent a lot of time traveling, camping and RVing with her family when she was growing up. To research coolers and other tailgating gear like those described by Lea, go to the Home Depot website. Image provided by Lea Schneider. College Football and RV Rentals, Win-Win! We’re deep into college football season and stadiums across America are hosting eager fans. For fans who travel to watch their favorite teams, that can mean hotel rooms, restaurant meals and no way to tailgate unless the stadium throws a party. Want a better solution? An RV rental offers all the comforts of home and the best tailgating set-up ever. If you’re looking for a win/win this college football season, you can’t beat traveling by RV to the games. If you’re new to RV rentals, it may be daunting to think of choosing, renting and learning to operate a motorhome. That’s where a good RV rental location is priceless. With a wide selection of models and a well-trained staff to walk you through the process, renting an RV to travel to college football might become your favorite pre-game activity. RV Models Available Recreational vehicles come in all shapes and sizes, from cabover motorhomes with slide-outs to large Class A ‘buses’. How many people will be traveling with you? How much kitchen space does your tailgating menu require? What’s your college football travel budget? Depending on local inventories, your RV rental expert should be able to connect you with just the right model RV for the big game. Length of Time RV is Needed Will you be traveling straight to the game and coming back the next day, or are you making a long weekend (or an extended vacation) of it to explore local attractions after the game? The length of time you’ll be renting your RV also factors into what’s available and how much the rental will cost. Where Will You Pick up your RV Rental? Some football fans prefer to fly into the city hosting the game and pick up their RV rental there for game day and afterward. Others want the whole ‘road trip to the big game’ experience and prefer to pick up their rental unit near home. Decide what you’d like to do and reserve an RV at the appropriate location. Every RV rental firm is unique, but generally, only licensed drivers twenty-five and older are allowed to rent an RV. The staff at your rental location should walk you through any training videos and manuals available to help you learn how to safely drive and operate your unit. They’ll educate you on any limits and restrictions and give you helpful tips on how to enjoy your football road trip to the fullest. Win/Win, right? What could be easier than renting an RV for college football travel? One of the top reasons college football fans rent RVs for game days is the ease of prepping, cooking and serving tailgate party menus. Whether you like a good pot of chili or enjoy making more exotic fare, your RV kitchen is center field for tailgating success. Before you start planning your menu, however, let’s review the basic plays for successful RV tailgating. First of all, know where and when you can park at the stadium. Some schools sell RV parking passes for their rabid tailgating fans and others have designated on and off-campus lots for RV parking. Also, be sure you know the local rules of play. Most colleges have specific rules about length of stay, amount of space that can be used by each tailgate party and whether or not generators can be run. Once you’re up on the rules, start planning your winning menu. What you decide to serve your fellow football fans will determine the cooking and serving dishes and utensils to pack, as well as your grocery list. If your favorite school’s stadium allows grills or smokers, you’ll need to plan for that, too. Here’s a link to help get you started on tailgate party planning. And don’t forget to show your fan loyalty! While you’re packing the RV rental with food and cooking gear, don’t forget to bring along your team bling. From t-shirts to face paint, team-themed menus to licensed party ware, the tailgate party’s just not the same without making it obvious who you’re hoping will win. So why not try it this year—renting an RV to travel to your favorite college team’s football games? You’ll win by not having to buy restaurant food or rent hotel rooms and you’ll win again by hosting an amazing tailgate party from your RV. And isn’t winning what football’s all about? RV Tailgating—It’s Time to Join the Crowd! Are you one of the twenty to sixty million Americans who throw tailgate parties at concerts, NASCAR races and sporting events each year? If not, it’s time to join the crowd! Among the millions who set up gourmet grills, taco tables and finger food buffets before during and after the big event, you might be surprised to learn who’s in the next parking spot. The majority (fifty-nine percent) have college degrees and fall between the ages of twenty-five and forty-four. Love to grill? You’re in good company! Ninety percent of parking lot chefs break out the grill as part of their treasured tailgating routine. Don’t own a vehicle that doubles as a mobile kitchen? No problem! An RV rental makes it easy and affordable to plan and prepare your tailgate masterpieces. Forget the packaged snacks and dips! Score a home run (or a touchdown!) with food your friends and family will remember. Savory salads, secret grilling sauces and mouthwatering marinades are just three of the ways to bring your tailgating crowd to its feet. Go with portable foods that can make the trip down the parking lot as you visit with the rest of the fans. Sliders, mini tacos, lettuce wraps and other finger foods work well as a moveable feast. With advance prep at home, your entire menu can hit the table at once. Who wants to be stuck in the kitchen after kickoff? Some foods can even be made ahead of time and kept cold in your RV’s refrigerator. Get creative! With an assist from your handy RV kitchen, this is the perfect time to pull out the stops and treat your fellow fans to flavorful side dishes, salads and desserts, as well as your taste bud teasing main course. Support your team! What can you prepare that brings your team to mind—KU Quesadillas, Crimson Tide Crab Salad or 49’er Gold Shrimp Nuggets? You might just start a tradition! Who knows? Your tailgate party could make it to the game highlights for your friends and family. As a matter of fact, thirty five percent of tailgaters don’t actually attend the game, they’re so busy having fun in the parking lot! Book your RV rental as soon as you buy your tickets. Check the stadium or venue’s tailgating rules and always respect the space of fellow tailgaters. Plan creative, easy to cook recipes for maximum game day enjoyment. Don’t forget to tie your menu to your team! Bring your best game to RV tailgating—it’s easy with a well-equipped RV kitchen and creative, easy to eat menus. No matter if the big event is a concert, ball game or NASCAR race, a tailgate party always adds to the excitement. Isn’t it time you joined the party in the parking lot? Gear Up for your Best Year of NFL RV Tailgating Ever! If you’re one of the super-fans who always tailgates at local NFL games, you’re already planning your tailgating menus. But even if you’re a newbie to the NFL RV tailgating world, it’s not too late to get in on the fun. Here’s the game plan for your best year of NFL RV tailgating ever. Play #1: Choose Your Mobile Kitchen: It all starts with a great RV, doesn’t it? If you’re blessed with a motorhome of your own, jump to play #2! If not, reserve your RV rental now for game day(s). Even if you’re planning to do most of your cooking outside, having the space an RV kitchen offers for food prep and storage will make all the difference in tailgating success. Play #2: Know Your Stadium: To plan well for game day, you’ll need to know which lots allow tailgating, whether there’s a fee for parking there and how early you can set up your mobile kitchen. Check the website for your favorite NFL teams to get the rulebook on RV tailgating. Play #3: Plan Your RV Tailgating Menus: Can you believe the food NFL fans manage to serve in a parking lot? We’ve heard of RV tailgating chefs creating appetizers, salads, main courses and desserts that would make a first-rate restaurant proud. From bacon-wrapped-anything to salmon salad hors d’oeuvres, there’s a recipe waiting to be tested by the crowd. Scour your favorite recipe sites and cookbooks for menus that will tempt your football-loving friends. Bonus Point: Build your fame as a tailgating chef by inventing team-centered names for your creations. Play #4: Stock Your RV Tailgating Kitchen: Once the menu’s been planned, it’s time to shop for ingredients, plan for food safety and choose your cooking equipment and utensils. Consider travel time and local climate when planning for food safety at the stadium. “Keep hot foods hot and cold foods cold” is the rule of the day when feeding NFL fans on the pavement. Will you be grilling, slow cooking, deep frying or setting up a baked potato bar? Walk through your menus ahead of time and make a list of the utensils, equipment, serving dishes and other essentials for serving up your tailgating specialties. This play saves last minute panic in the parking lot and ensures a successful day of tailgating. Your last play is purchasing the groceries you’ll need to build your tailgating specialties. Don’t forget the seasonings! Bonus Point: When shopping for ingredients, take advantage of local produce, seafood and meats for robust regional flavor on game day. Tailgating in an RV adds a whole new layer of excitement to NFL football. Know the playbook for your stadium, pick the right RV for the task and plan your menus for maximum fun. You’ll have plenty of room in the motorhome for equipment, food storage and super fan bling. It’s going to be another great tailgating season for US pro football fans! RV Travel and Tailgating at NCAA Football! If you’re a diehard college football fan, you’re already counting the days until NCAA football tailgating begins. In 2015, that date is August 29, when the North Dakota State Bison battle it out with the Montana Grizzlies in Missoula. There’s still time to buy tickets for your favorite college games and stock up for all your RV tailgating favorites! Here’s your step-by-step guide. If you’ve got season tickets for your favorite college teams, awesome! If you’re not that fortunate, it’s high time to order tickets. Whether you’re hitting the road to enjoy FBS or FCS football, use this link to find NCAA football schedules and then secure your seats at the games. Football fans love tailgate parties and most stadiums love to accommodate the fun. The best recipe for football RV tailgating is knowing where and when fans can set up their mobile kitchens. Check the website for the stadiums you’ll be visiting—that’s where you’ll find tailgating tips and guidelines. Will you be traveling long distance to ‘away’ games or watching a game just down the road? Next question: what kind of college football tailgating do you most enjoy—gourmet grilling and serving up exotic sides or setting up a quick picnic in the parking lot? Knowing if you’ll need overnight accommodations and how you plan to party pregame will help you pick your best transportation for game day. RV comfort and affordability make football weekends even more enjoyable. And you can’t beat the convenience and versatility of preparing tailgating favorites in an RV kitchen. Prep your RV now for game day, and if you need help with an RV rental, we’re here! Send one through the goal posts this college football season by creating your best RV tailgating menus ever. It’s easy when you consider three things: how will you be cooking, how much time will you have and who will you be serving? Will you be bringing the grill along? Everything from salmon to bacon-wrapped brats can be grilled at the stadium. Does the family love foil packet specialties or do they cheer when you break out the tailgate pizza? It’s all possible with your great plan for groceries and gear. Lucky for you there’s plenty of storage in an RV kitchen! Here’s a handy guide to tailgating recipes you’ll want to try out on your fan base. Dress up your RV tailgating space with plenty of team bling to ramp up the pregame frenzy. Check your local fan merchandise stores or your team’s licensed apparel website for banners, flags, cookware and apparel. The crowd will go wild! What could be better than sharing great food at the stadium with your favorite college football fans? Pick your games, buy your tickets, find the right RV and plan for exceptional RV tailgating meals. It’s NCAA football time! Planning to attend the Feb. 1, 2015 Super Bowl but need help finding accommodations? Here’s an idea—why not RV to the Super Bowl this year? 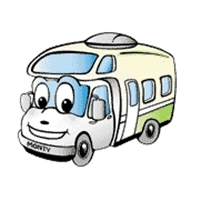 Renting a motorhome offers football fans flexibility, comfort and affordability as they travel to enjoy the big game. Where to Rent an RV: El Monte has locations all over the US, including one right in Phoenix, Arizona. Click here to find the El Monte RV Rental location most convenient for your trip. What an RV Rental Offers Football Fans: You could try to find a last minute hotel room somewhere in the Phoenix metro area, but why bother when a motorhome offers all the comforts of home to Super Bowl fans? Convenient RV kitchens allow you to prepare all your favorite foods and beverages as you camp along your way to Arizona. Skip the fast food and save your money for Game Day! Depending on the RV models available at the nearest El Monte RV Rental location, you’ll find sleeping accommodations to suit everyone along for the ride to Phoenix. Just let us know how many fans you’ll be traveling with and we’ll help you choose the right RV for the trip. Where to Camp in the Phoenix Area: Camping in the Phoenix area is your gateway not only to Super Bowl excitement but also dozens of attractions to enjoy before and after Game Day. Use this convenient list of Arizona RV campgrounds to start your search for the perfect Super Bowl home base. Call and reserve your RV rental AND your campsite now, to avoid last minute hassles. Use the com highway conditions site to monitor weather and driving conditions during your trip. You can use this link to learn more about parking and restrictions in the official Super Bowl parking areas. Use the same link to get the official word on whether tailgating will be allowed at the 2015 Super Bowl. Whether it is or not, you’re going to have a great excuse throughout your trip to break out your favorite tailgating recipes! Plan your menu for the road using these recipes for delicious RV tailgating. Don’t miss the other events being hosted throughout downtown Phoenix to honor the big game. Super Bowl Central is a free, family-friendly outdoor festival open nightly from Jan. 28 to Game Day with concerts, fireworks, autograph opportunities and plenty of vendors to feed your Super Bowl fix! You can also purchase tickets for the NFL Experience at the Phoenix Convention Center for the ultimate in football fan immersion. Traveling by motorhome to the Super Bowl makes the ultimate NFL football experience even better. Use these tips to plan your trip, and contact us right now to get the right RV rental for your adventure. Picture credits: The photo shown was found on Flickr Commons. It is licensed under the Explore/Creative Commons license. College football fans and RV campers who love a good parade are already making plans to be in Pasadena, California on January 1. Are you planning to join them for the must-watch, hotly contested Rose Bowl Game and the Tournament of Roses Parade? For one hundred twenty six years, the Tournament of Roses Parade has thrilled parade watchers with flowered fantasy floats, newly-crowned parade royalty and skillful marching bands. The beautiful city of Pasadena opens its doors to hundreds of thousands of parade-goers each year and is more than up to the task. And if you’re planning to attend the 101st Rose Bowl Game, going by RV makes it comfortable and affordable. If that sounds like a dream come true, there’s still time to make your RV rental reservation and get tickets for all the events. Here’s what you need to know to plan your trip. Get started now! Where Can I Camp? Because Pasadena is part of the larger Los Angeles metro area, you may not find an actual RV campground close by the parade route. Here’s the good news: the vendor-regulated parking areas (see Where Can I Park below) and many of the area businesses allow some form of ‘boondocking’ or camping without services. Here’s also a link to a list of campgrounds within 30 miles of Pasadena. Will I Need Tickets? Grandstand seating is reserved and requires tickets. Purchase them here.You can also view the parade for free curbside. The curbside area opens for seating at noon December 31. Where Can I Park? If you’re planning to camp outside the parade route, you may want to reserve parking closer in. The vendor who provides grandstand seating for the parade also makes available car or RV parking adjacent to the seating areas, for up to three days. Here’s the link to purchase parking space for the Rose Parade. Anything Happening Before and After the Parade? Plenty! Watch the marching bands in action before the parade by attending Band Fest either December 29 or December 30. If you’d love to see the magic that transforms thousands of flowers and natural items into award-winning floats, schedule time to watch float decorating at one of three official venues during parade week. There’s also a showcase of floats following the parade. Here’s a link to pre- and post- parade event details. When? January 1 – Pre-game activities begin at 1:30 p.m. PST. Don’t miss any of the excitement! Where? Rose Bowl Stadium, 1001 Rose Bowl Drive, Pasadena, CA. The chance to see this historic, one-of-a-kind stadium is worth the trip. Home to the oldest bowl game in America! Where Do I Buy Tickets? Rose Bowl tickets are selling out fast, so click the link for contact information and make the call today. Where is RV Parking Allowed? Along with a special lot for RV and bus parking at the stadium, you can also reserve parking at the off-site lots, some of which run shuttles to the stadium. Here’s a link for more info on RV parking at the Rose Bowl. Every RV traveler to California should see the Rose Bowl at least once. Choose your events, buy your tickets, rent your RV and reserve a space at the 2015 Tournament of Roses Parade and the Rose Bowl Game. You’ll be so glad you did! We’ve tried to answer most of your questions about RV camping at the Rose Bowl this year, but if we’ve missed one, here’s how to reach the Visitor Hotline for the Rose Bowl and Tournament of Roses Parade. RV Football Tailgating – It’s Game On! The college and NFL football seasons are in full swing, so what’s your game plan for the best RV tailgating season ever? First things first; don’t own an RV? No worries – we’ve got the plays mapped out for an affordable RV rental close to the game. With that detail off your mind, let’s talk about your winning strategy for epic RV football tailgating. Play #1: Do Your Tailgating Homework! Parking the RV and firing up the grill is your ultimate goal, but first, you’ll need to do a little homework. Find out before the game where you can park your motorhome, whether the stadium allows tailgating and how soon you can stake out a parking spot. Whether you’re gearing up for college football tailgating or a pro football game is in your future, we’ve gathered a lot of advance intelligence. Be sure to also contact the stadium if you have questions! Already have a respectable tailgating repertoire? Good for you! Why not kick things up a notch this season by adding new game day desserts? It’s easy in an RV kitchen! Another way to build your fan base is by adding a sizzling side dish to your favorite barbeque or champion chili. Grilled veggies, cheesy mini biscuits and rice & veggie salads are already emerging as MVPs this season. But if you’re brand new to RV football tailgating, the field’s wide open! Pick your favorite recipes for a crowd – your convenient RV kitchen makes prep time and cooking a snap kick. If you need a little help planning the menu, sites like Chow.com have dozens of ideas for your pre-game feast. Every successful tailgating chef has a super secret sauce, brilliant barbeque brainstorm or spectacular side dish strategy, but what they all have in common is a plan. Where will you park the RV on game day? Will you need electrical hook-ups to cook? How many football-loving friends will you be feeding? Who else is bringing game-time goodies? What cooking and serving utensils will you use? What groceries do you need and how will you pack them? Will you bring the grill or cook for the crowd in your well-designed RV kitchen? What beverages complement your menu? RV storage is always an added plus; pack it up for any kind of weather! For more ways to save visit El Monte RV’s Newsletter for RV specials! Once you’ve got your tailgating playbook planned, it’s time for kickoff! The convenience, comfort and affordability of RV tailgating at football games make it a tradition for thousands of fans. Why not find out how tailgating in a motorhome can make your football season even more fantastic? Photo credits: football photo is an El Monte RV stock photo. Prepare for an RV trip of a lifetime! The Super Bowl for 2014 will be played in New Jersey at the MetLife Stadium. You can bet East Rutherford, NJ, residents are proud that their city has been honored with hosting this event. On February 2, NFL fans are going to be descending on the region to be part of this historic game. Traveling to this game in an RV is additional fun, even if the weather gets a bit cold. There are a multitude of tips for winter travel online. For Super Bowl XLVIII it is worth any preparation needed to get to New Jersey to enjoy the game. In fact, you won’t be the only one braving the cold. The MetLife Stadium is going to be the first open-air stadium to host the Super Bowl during these cold months. It doesn’t have to be a hassle to be a great NFL fan. You can find tips and tools for travel when you pick up your RV, making a trip as easy as possible. When going to the Super Bowl, you’ll want a great home base for your adventure and the ideal spot is the Liberty Harbor Marina & RV Park. This park is only 20 minutes away in Jersey City, New Jersey. The park is one of the few in this region that is open all year round. There are full hookup sites, a dump station, and restrooms with hot showers. It is also near the light rails so you can get around with ease. From your campground next to Liberty Harbor, you can get to Manhattan and see the sights. Just plan for your trip by taking the little extra time required for more fun! Of course, the stadium where the Super Bowl takes place is part of the Meadowlands Sports Complex. Stick around after the game for other thrills, such as the Monster Jam on February 14 and 15. Have you ever seen the Harlem Globetrotters? It’s time to do so, and you can on February 17 at Meadowlands IZOD Center. When coming to East Rutherford for the Super Bowl, remember, there will be no tailgating parties allowed. Therefore, any “tailgating” will have to take place right in your campground with like-minded folks and before catching transport to the stadium. Attendees cannot park away from the stadium and walk to the game, as no foot traffic will be allowed in. There will be only 13,000 parking spots available for fans. You can come to the stadium by light rail with a special pass or be dropped off by bus. Cars will not be allowed to leave once dropping off any attendees. If you get your Super Bowl tickets before they are sold out, you can look forward to a great game, marvelous entertainment, and a crowd who will enthusiastically cheer on their favorite team. At halftime, you will enjoy a performance by Bruno Mars. Don’t wait – get those tickets now and rent your RV for the trip. For information on booking an RV Trip in or near Rutherford, New Jersey – CLICK HERE or if you need to rent a motor home outside of the state of New Jersey, CLICK HERE. Picture credits: The picture of MetLife Stadium is from Vincent Santore on Flicker Commons. It is licensed under the Creative Commons Attribution license.